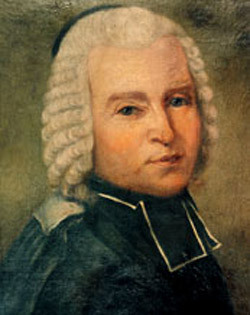 Nicolas Louis de Lacaille was a French astronomer noted for his catalogue of nearly 10,000 southern stars, which also included 42 nebulous objects. This catalogue, called Coelum Australe Stelliferum, was published posthumously in 1763. It introduced 14 new constellations that have since become standard: Antlia (Antlia Pneumatica, the Air Pump), Caelum (the Chisel), Circinus (the Drawing Compasses); Fornax (Fornax Chemica, the Chemists' Furnace), Horologium (Horologium Oscillatorium, the Pendulum Clock), Mensa (Mons Mensa, the Table Mountain), Microscopium (the Microscope), Norma (Norma et Regula, the Square and Level), Octans (Octans Hadleianus, the Octant of Hadley), Pictor (Equuleus Pictoris, the Painter's Easel), Pyxis (Pyxis Nautica, the Nautical Compass), Reticulum (Reticulum Rhomboidalis, the Net), Sculptor (Apparatus Sculptoris, the Sculptor's Studio), and Telescopium (the Telescope).